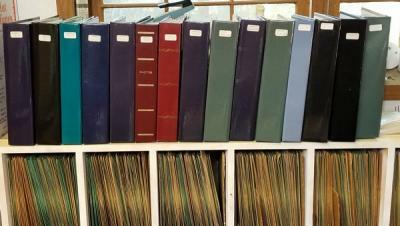 Photo Album containing glossy label prints of records from the Roger Misiewicz Collection. This album contains various labels for B-C. Ships for the price of 9 records. Because of the weight, these items may need to ship seperatly and may incur an additional shipping charge after checkout.